Hermitage, Mercer County, PA: The eCenter staff announced that the eAcademy program, operated by the LindenPointe Development Corporation (LDC), has received a $90,000 ARC grant to provide local high school seniors with a unique, year-long, immersive experience to develop entrepreneurial, leadership and life skills. The eAcademy is beginning its fourth program year and the second year operated under the direction of the eCenter. The program focuses on developing young leaders and entrepreneurs by connecting talented students with local businesses, professionals and educational institutions in the region. Current participating high schools include Commodore Perry, Farrell, Greenville, Grove City, Hermitage, Mercer, Sharon, Sharpsville, Union and West Middlesex. Applications to the eAcademy are opened to the junior classes in the regional high schools and students are selected based on an application process. Then, for their entire senior year they attend their host high school for ½ day and attend afternoon classes at LindenPointe receiving training in entrepreneurial and leadership curricula. Through the unparalleled and collaborative efforts of the local schools, the ARC funding and a remarkable local public – private partnership, this year’s students will receive personal computers and will be eligible to apply for a groundbreaking 10 week Summer Accelerator Program. The Summer Accelerator will, through a competitive selection process, accept 10 eAcademy graduate students into the accelerator program providing paid internship positions, office space, weekly workshops focusing on business start-up development, one-on-one mentoring and an opportunity to pitch their businesses to local investors. The life-changing eAcademy experience is led by Lisa Evans, Program Director. Ms. Evans has developed the specialized program curricula whereby the students get a comprehensive entrepreneurial-based learning experience, as well as, earn high school credits and college credits through the Pennsylvania State University and Butler County Community College. Ms. Evans guides the students through a business creation methodology and mixes in real-world experiences by hosting eSpeakers with diverse backgrounds and skill sets and on-site excursions to regional manufacturing companies, technology companies, higher education institutions, health care providers and small businesses. The ARC funding was secured with support from the participating school districts and a substantial, private commitment from Daffin’s Candies. 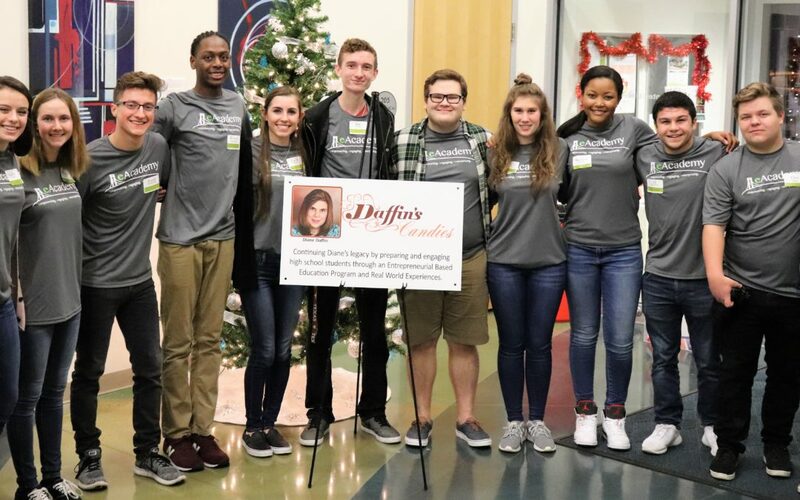 The Daffin’s Candies company support continues the legacy of Diane Daffin preparing and engaging high school students through an entrepreneurial based education program and real world experiences. The eCenter worked closely with the City of Hermitage, the Northwest Commission and the Pennsylvania Department of Community and Economic Development to secure the ARC funding assistance to improve the entrepreneurial ecosystem and provide this life-changing opportunity for the high school seniors. The ARC is a regional economic development agency that represents a partnership of federal, state, and local government. Established by an act of Congress in 1965, ARC is composed of the governors of the 13 Appalachian states and a federal co-chair, Earl Gohl, who was confirmed by the U.S. Senate in March 2010. Mr. Gohl personally took time from his busy schedule to visit the eAcademy class and the eCenter. Local participation is provided through multi-county local development districts. ARC invests in activities that address the five goals identified in the Commission’s strategic plan, including Economic Opportunities that invest in entrepreneurial and business development strategies that strengthen Appalachia’s economy. Each year ARC provides funding for several hundred investments in the Appalachian Region, in areas such as business development, education and job training, telecommunications, infrastructure, community development, housing, and transportation. The eCenter is a business incubator led by Executive Director, Dr. Ketaki Desai and is located in the LindenPointe Innovative Business Campus, Hermitage, PA.